This week Ruth Cadbury signed the Holocaust Educational Trust's Book of Commitment, in doing so pledging her commitment to Holocaust Memorial Day and honouring those who were murdered during the Holocaust as well as paying tribute to the extraordinary Holocaust survivors who work tirelessly to educate young people today. Saturday 27th January will mark the anniversary of the liberation of the Nazi concentration and death camp Auschwitz-Birkenau, the site of the largest mass murder in history. In the lead up to and on Holocaust Memorial Day, thousands of commemorative events will be arranged by schools, faith groups and community organisations across the country, remembering all the victims of the Holocaust and subsequent genocides. The theme for this year's commemorations is 'The power of words'. "Holocaust Memorial Day is an important opportunity for people from Brentford and Isleworth and across the country to reflect on the tragic events of the Holocaust. As the Holocaust moves from living history, to just history, it becomes ever more important that we take the time to remember the victims and also pay tribute to the survivors. I would encourage my constituents to show their support for such an important day and use this occasion to redouble efforts to prevent genocide across the world." "The Holocaust did not start in the gas chambers but with hate filled words. 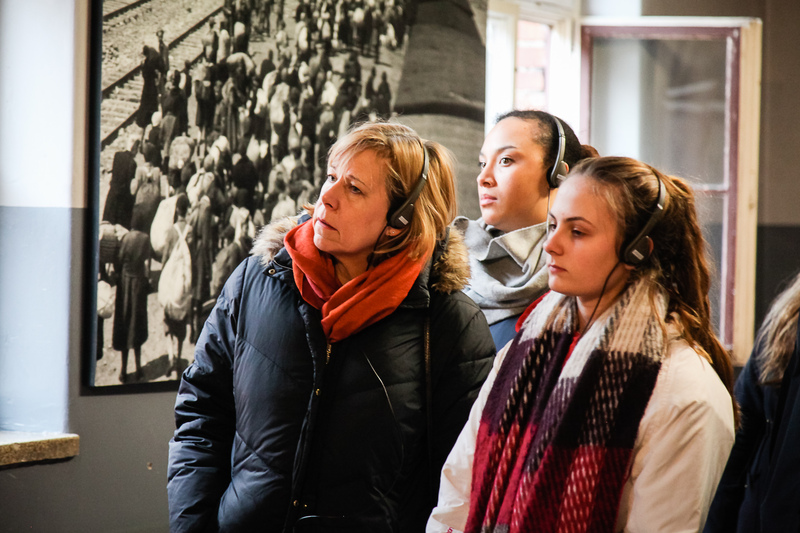 Our mission is to educate young people from every background about the Holocaust and its contemporary relevance. We are very grateful to Ruth Cadbury for signing the Book of Commitment, signalling a continued commitment to remembering the victims of the Holocaust as well as challenging antisemitism, prejudice and bigotry in all its forms."